Winner of the Parents Choice Gold Award A beautiful puzzle with architectural roots, Adams Cube combines six challenges in one. Each side of this translucent cube offers a new challenge, and you must attempt to arrange the five puzzle pieces within each polygon frame. Some are more complex than others – solve one and move on to the next for lasting fun! 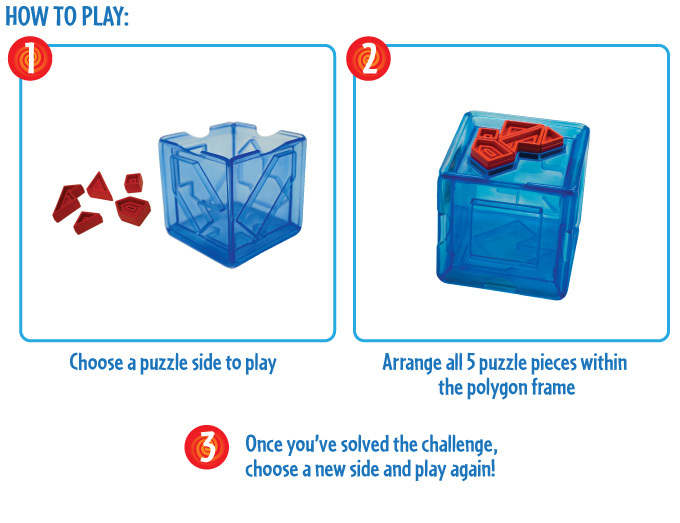 Ingenious design stores this fun game's pieces and instruction booklet inside the cube for the next player.